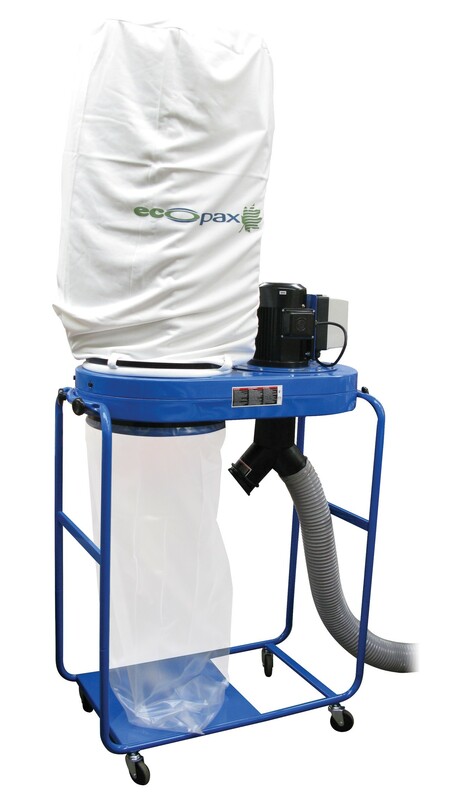 R+R Industrial are delighted to supply the Ecopax 3 Phase Dust Extractor. The dust extractor features a 3-metre connection hose making it easy to connect it to machinery. The 3 Phase Dust Extractor is designed to work alongside 3 Phase Ecopax cardboard shredders. The dust extractor reduces and collects airborne dust preventing it from lying on the floor where workers could slip on it. It also prevents workers from inhaling the dust. This is important for ensuring that you maintain a safe working environment. Made to the highest of standards the dust extractor has a powerful suction mechanism and features large replaceable bags for collecting and disposing of dust.